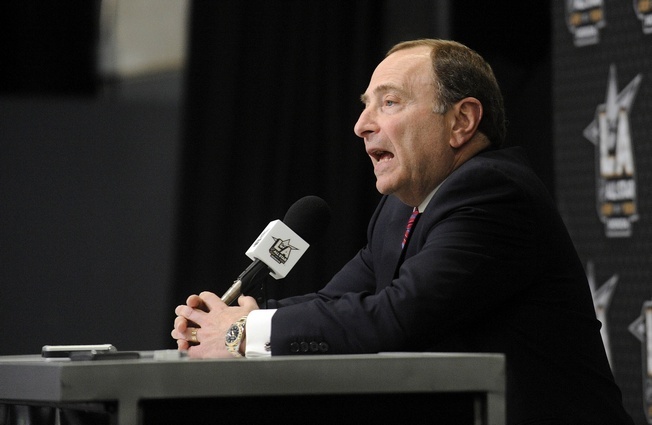 NHL commissioner Gary Bettman has weighed in on the issue of league participation in the upcoming Olympics in Pyeongchang and the news isn’t good for those in favour. The NHL last met with the International Olympic Committee and International Ice Hockey Federation early last month, but the lack of progress could spell the end for participation hopes in the 2018 event. The main issues remain, even if the negotiation window is still technically open, and that could mean the NHL wouldn’t participate in the Olympics for the first time since 1998. The league has a problem with taking two weeks off and sending its players to an event that is outside of its control, an issue that has long held resonance for team owners invested in the product. The NHL likes to cite the example of Dominik Hasek, who was set for a Stanley Cup run with the Ottawa Senators but was injured in the 2006 Olympics and never suited up for the team again. Money is also a factor, naturally, and the IOC’s lack of coverage for insurance and transportation costs isn’t helping the discussions. And in all honesty, the market is an issue. The NHL isn’t big on the Korean stage for this event and their reluctance has a lot to do with that. They have been rather interested in the 2022 Olympics in China, as they consider the Beijing market to present more opportunities to sell the game. It appears this matter now could hinge on some individuals, with players like Alex Ovechkin stating that he wanted to play for Russia in the Olympics even if NHL participation was not guaranteed. He has the support of Washington Capitals team owner Ted Leonsis, by the way, which is something Ottawa owner Eugene Melnyk has not granted to Senators defenceman Erik Karlsson. And if there is a kernel of hope for league participation in 2018, it’s that the NHL didn’t decide to send players to Sochi’s 2014 Olympics until July of 2013.